Alien sightings, strange encounters?! It’s all happening right here in Buildabearville! Very recently we learned about AmandaBearLove‘s new Awesome Alien Orange furry friend that she named Peaceful Alien! As Amanda would say, "He’s rather a cutie with 4 arms." His tee reads "We come in Peace" and he can only be found at select BABW test stores. He’s $16 and he’s a "test animal." We do not know which stores those are! 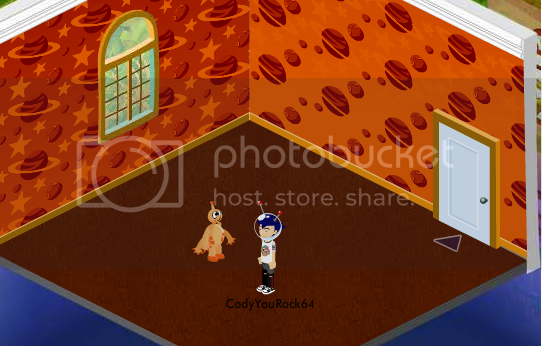 Today, Bearville Insider member DannyBearyCuddly has reported an alien sighting in Buildabearville! 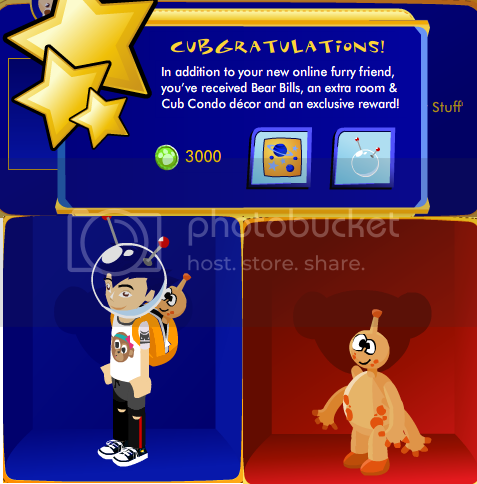 AmandaBearLove has confirmed that the Awesome Alien Orange can be brought to life and the Awesome Alien Aquarium is this furry friends’ exclusive virtual gift! Previous post: New Macaw Parrot! Next post: The Chloe Show! !